M=Matt's Choice. That means I stayed there and liked or loved it or someone I know has highly recommended it. 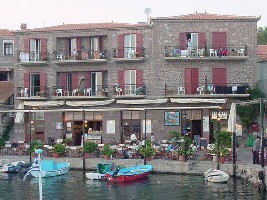 You can find more hotels in Lesvos by location, price, whether or not it has a swimming pool or is on the beach, and see photos, maps and reviews by using this link to Booking.com. Excellent prices and many hotels you can book and then cancel with no cancellation fee. For those who want to book without using a travel agency this is the best way to do it. You can find more hotels in Chios by location, price, whether or not it has a swimming pool or is on the beach, and see photos, maps and reviews by using this link to Booking.com. Excellent prices and many hotels you can book and then cancel with no cancellation fee. For those who want to book without using a travel agency this is the best way to do it. 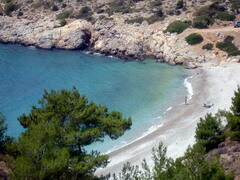 You can find more hotels in Samos by location, price, whether or not it has a swimming pool or is on the beach, and see photos, maps and reviews by using this link to Booking.com. Excellent prices and many hotels you can book and then cancel with no cancellation fee. For those who want to book without using a travel agency this is the best way to do it. 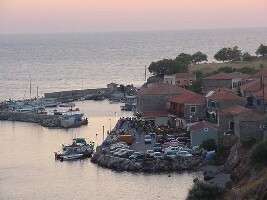 You can find more hotels in Limnos by location, price, whether or not it has a swimming pool or is on the beach, and see photos, maps and reviews by using this link to Booking.com. 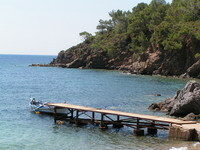 Excellent prices and many hotels you can book and then cancel with no cancellation fee. For those who want to book without using a travel agency this is the best way to do it. 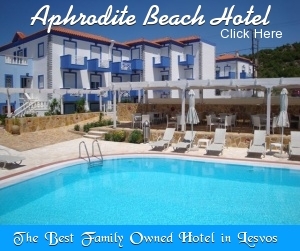 You can find more hotels in Thassos by location, price, whether or not it has a swimming pool or is on the beach, and see photos, maps and reviews by using this link to Booking.com. Excellent prices and many hotels you can book and then cancel with no cancellation fee. For those who want to book without using a travel agency this is the best way to do it. You can find more hotels in Ikaria by location, price, whether or not it has a swimming pool or is on the beach, and see photos, maps and reviews by using this link to Booking.com. Excellent prices and many hotels you can book and then cancel with no cancellation fee. For those who want to book without using a travel agency this is the best way to do it. You can find more hotels in Samotraki by location, price, whether or not it has a swimming pool or is on the beach, and see photos, maps and reviews by using this link to Booking.com. Excellent prices and many hotels you can book and then cancel with no cancellation fee. For those who want to book without using a travel agency this is the best way to do it. Do you enjoy using my site? Have you found it entertaining as well as useful? If so please show your appreciation by booking hotels through the travel agencies and the links found on my Hotels of Greece site. The small comission I make on the bookings enable me to keep working and in most cases you won't find them any cheaper by searching elsewhere. 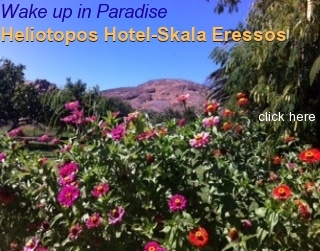 You can find hotels in Greece by location, price, whether or not it has a swimming pool, and see photos and reviews by using this link to booking.com which also contributes to my website when you book.